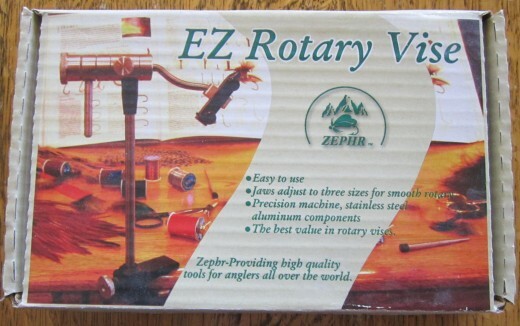 The Zephr EZ Rotary vise is one of the least expensive, true rotary vises for fly tying available. For about $50.00 you can acquire the model with a c-clamp, while for $70.00 you can purchase the model with a pedestal base. Retail sellers are limited, so you will probably have to order it through the mail. Is the purchase worth the risk sight unseen? For nearly all fly tiers, the answer is yes. Everything about this vise says "Rugged" to include the reinforced box and foam insert it was shipped in. The five segmented vise barrel is all aluminum. The armature, jaws, stem, c-clamp, and adjustment screws are all steel. The steel jaws are easily adjustable by two tension thumb screws. The screw closest to the jaw tips sets the width of the jaws' opening, while the back screw closes the jaws. 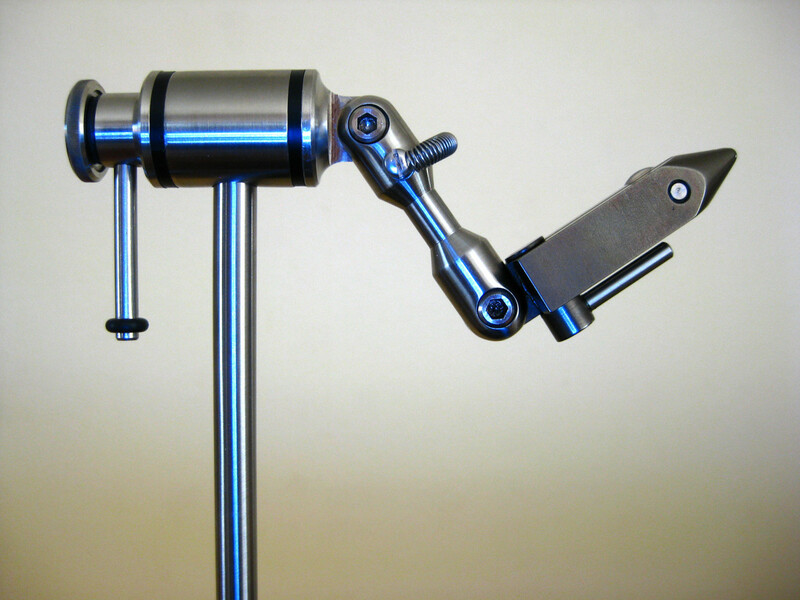 An adjustable thumbscrew also holds the jaws within the armature. There are three holes in the interior jaw in which the armature thumb screw can secure the jaw. Fastening the jaws to any of these three settings does not affect the gripping power of the jaws. They do, however, result in determining how far the jaws set out past the armature. 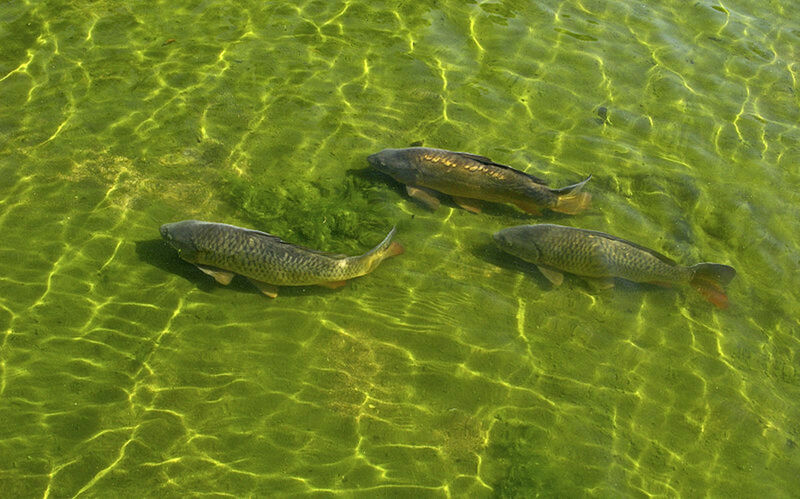 Presumably, small hooks requiring less tension could be tied with the jaws extended out to their maximum length, while larger hooks needing more tension and stability from the vise as a whole would recess the jaws as much as possible. The other adjustment screws release and hold well. 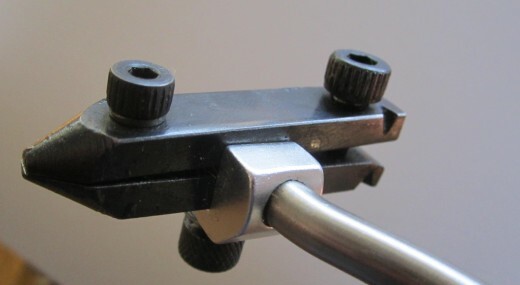 The adjustment screw for the c-clamp is rugged and holds vise to the table. The adjustment screw on the vise barrel is accessible and holds the armature well when tightened, while easily releases the armature for rotation with just a slight adjustment. The action of the vise barrel is acceptable. The vise centers the fly well for easy rotational tying. The barrel is very light resulting in measured sensitivity with your hand to the fly. Pictured are the adjustment screws on the jaws. The front screw near the jaws tips sets the jaws' width, while the back screw tightens the jaws. If you use the vise a lot, eventually you are going to have to tighten the vise barrel. I typically tie about 2,000 flies a year. The barrel loosens after that many flies and requires tightening. The barrel is in five segments with three 2mm allan screws securing the barrel. One needs to loosen them all to tighten the barrel from the back adjustment knob. On one occasion I disassembled the entire barrel to lubricate it. It was a straight-forward process. The vise barrel has slight play in it no matter how you adjust the barrel. This is really the only annoying feature of the vise. The play does not affect the performance of the vice. The front set screw in the jaws will loosen after about a two dozen flies and will require adjusting with your fingers. 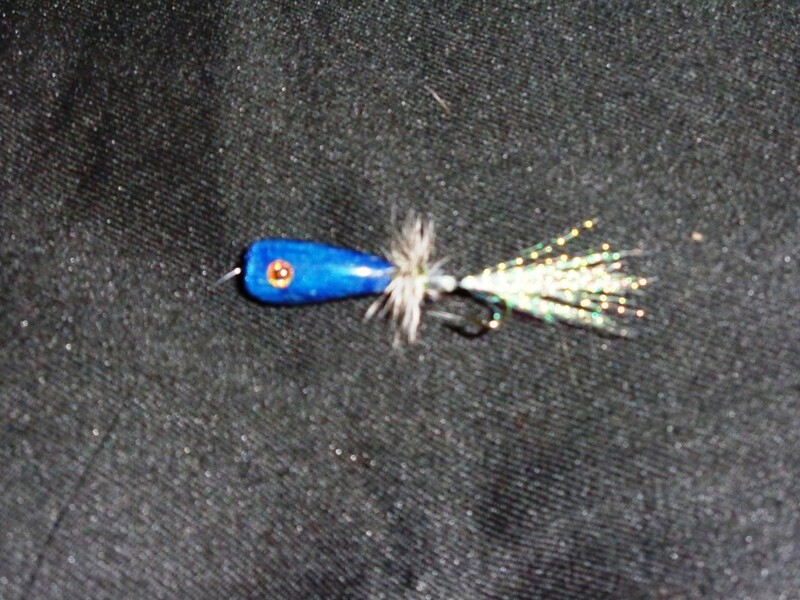 I've tied a few salt water flies on size 2 hooks with spinning deer hair requiring high tension thread wraps. This is about the upper end of the hook size and tension capability of the vise. If I tied this size of hook or larger, I would look for a larger vise. The vise does not come with many accessories - only a bobbin cradle. 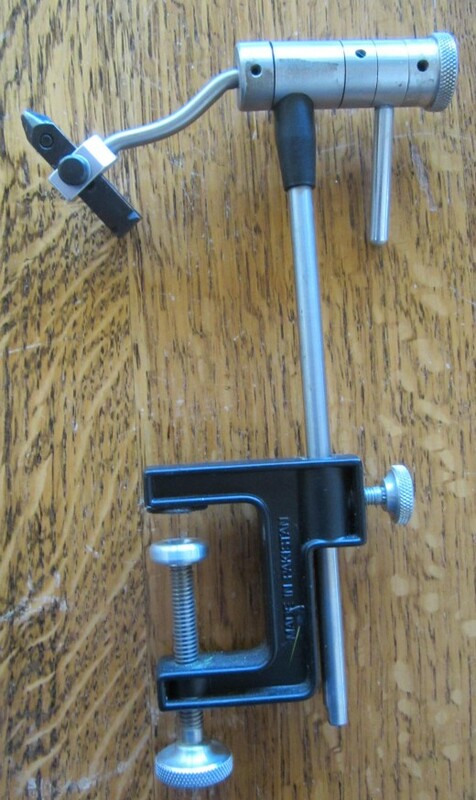 It also lacks a spring material clip, but I have found most materials I want to keep out of the way I can rest on the barrel tension/release knob. The vise lacks a parts list. This would have been nice to have, especially prior to tearing into the barrel for the first time. The Zephr EZ Rotary vise was my first rotary vise. My original intent was to buy a low end rotary vise and upgrade later if I liked rotary vises. That was three years ago and I have yet to upgrade. I tie flies for retail sales. I consider a rotary vise essential now in terms of time and efficiency. It is not uncommon for me to tie 50 of one type of fly in one sitting. I have contemplated upgrading to a rotary vice that has cam operated jaws to improve my efficiency. What holds me back is how light and sensitive the vise barrel is. 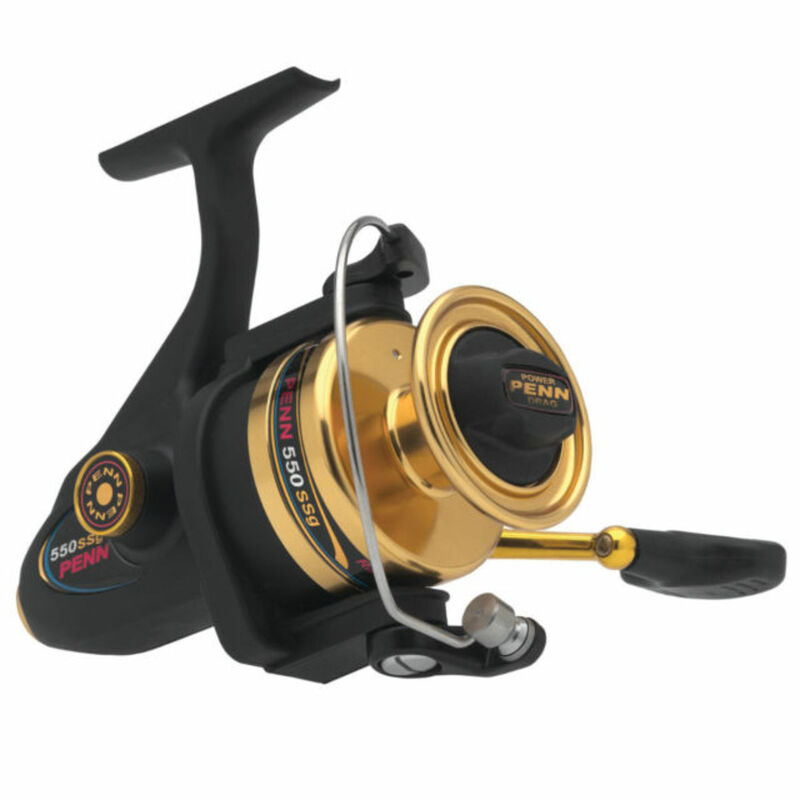 I've tried other vises in various fly shops (some with cam operated jaws), and while their barrels have smoother actions, they are all so heavy. The sensitivity is lost and the connection with my hand to the fly is nothing like I have with the EZ.